Oriental round rugs are proving difficult to source at the moment. Well worry not, our Oriental Agra rugs are stocked in plenty! 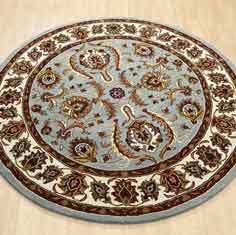 Handmade in eight colours this 180cm round rug is simply gorgeous.